This level has hard difficulty. 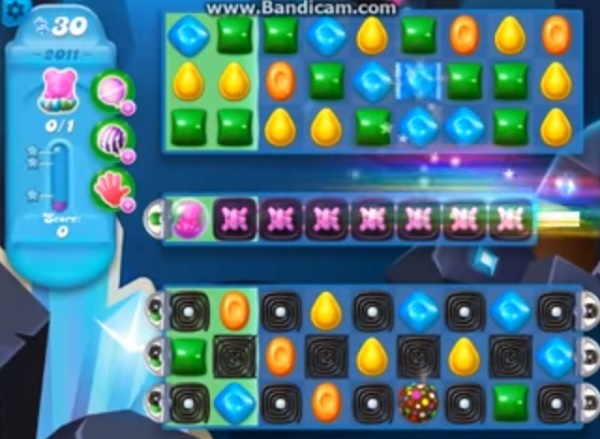 For this level try to play from top part of the board and use striped candy. Try to play near to bear to move them and take them out from the board. I am so sick of the same bs video showing someone who isn’t completing the level in the prescribed number of moves. This player clearly keeps player after the games show zero moves left. I don’t know about the rest of you but the game doesn’t allow me to play like that. This video should be removed. I meant to say this player keeps playing after the game shows zero moves. This person actually finished the game in 71 moves!! You only got 30 in the game!